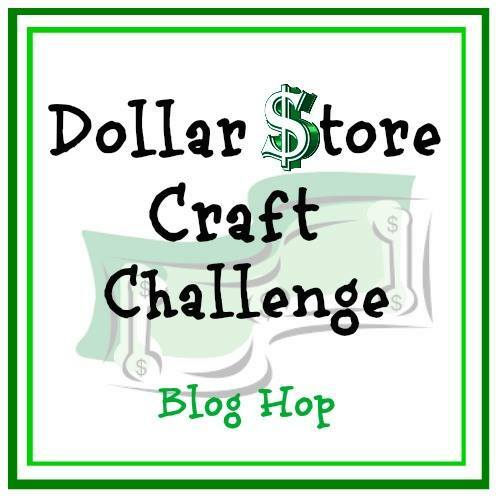 On the second Monday of each month, this group of talented and creative bloggers share their themed creations of either UPCYCLING, FAVORITE FAMILY RECIPES or DOLLAR STORE CRAFTS for the month. 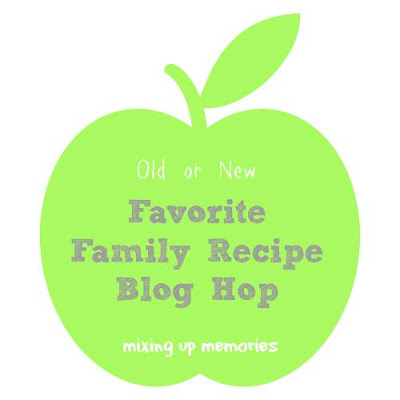 The theme for November is Old or New Favorite Family Recipes. 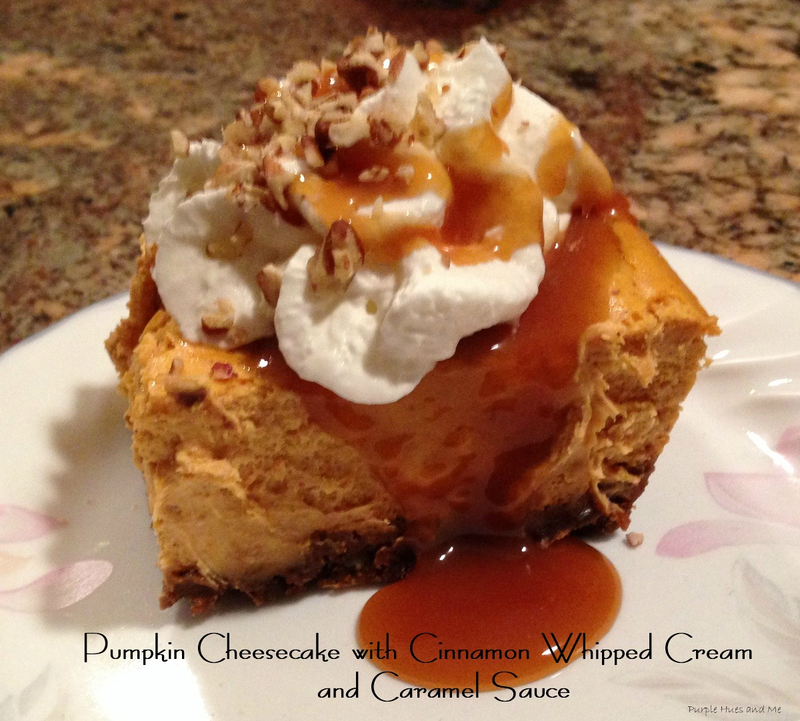 Today, I'm sharing with you a tasty, easy to make recipe for Pumpkin Cheesecake with Cinnamon Whipped Cream and Caramel Sauce. A family friend served this to my hubby and I when we were visiting her and her husband a few years ago. It was so delicious that I made it for my family and it soon became a family favorite - and it's definitely on the menu for most holiday gatherings! The Pumpkin Cheesecake is made with a gingersnap crust, a creamy pumpkin layer and topped with delicious cinnamon whipped cream drizzled with caramel sauce. Doesn't that sound divine? Crush ginger snaps in a blender or food processer. In a small bowl stir together the crushed gingersnaps, melted butter, and dark brown sugar until completely combined. Press the mixture evenly into the bottom of the prepared pan. Bake for 10 minutes. Remove from oven and let cool completely while you make the cheesecake layer. Beat cream cheese and sugar with an electric mixer until lump free and smooth. Add pumpkin, spice and vanilla and mix well. Add eggs, one at a time, mixing on low speed until blended. Pour mixture over cooled crust. Bake for 45 minutes or until a toothpick inserted in center comes out mostly clean. Cool completely and then refrigerate for at least 4 hours before serving. Cut with a sharp knife to remove from pan. Pour heavy cream into a large bowl and beat with an electric mixer until thick. Add confectioners' sugar, vanilla and cinnamon and beat until medium peaks form. In a small saucepan, combine sugar and 2 Tbsp of water and bring to a boil. Boil over high heat, about six minutes, until a deep amber caramel forms. Remove pan from heat and carefully whisk in the cream, butter, vanilla and a pinch of salt. Let caramel sauce cool to room temperature. Top the pumpkin cheesecake slices with cinnamon whipped cream, and drizzle with caramel sauce, adding a few nuts to serve. Enjoy! 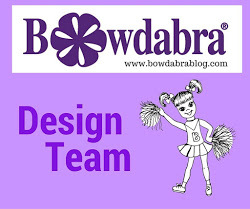 Be sure to stop by each of the bloggers in our group to check out their favorite family recipes, too! 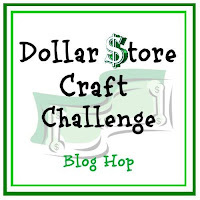 Thanks for stopping by and come back next month for our Dollar Store Craft Challenge Blog Hop! Your recipe looks great, Gail. This is one of those recipes that makes me wish I loved pumpkin! :) I'm sure it's a crowd pleaser. The toppings look delicious! I'll be trying those on some other dishes. Pinning to my autumn recipes board. ooooo....gingersnap crust! This sounds SO good. I am pinning so I won't forget about it. I may take this to the family Thanksgiving gathering. 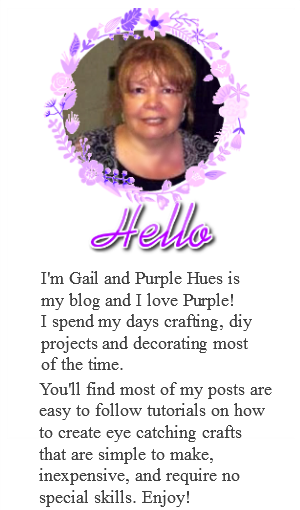 Wow, this looks wonderful Gail! It also looks like a perfect dessert to transport for the family gathering and what a pretty presentation it makes too! Pinning!! This looks delicious and I'd love to have a slice right now. Thank you for sharing with us this week at Celebrate Your Story and we hope you will join us again next week. Delicious recipe, Gail. 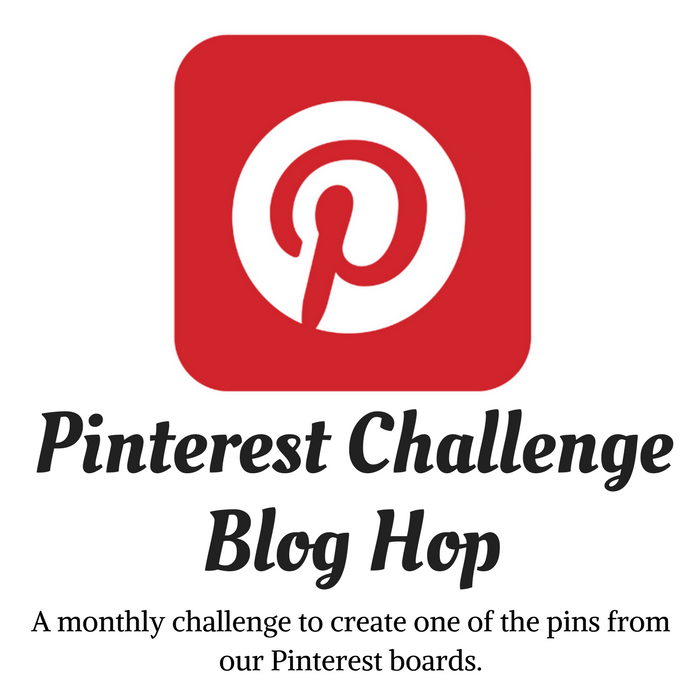 Pinned to make soon! WOW! This looks and sounds amazing, dear Gail. Thank you for the recipe. Have a wonderful Thanksgiving! Hugs! Gail, my mom was inspired to mKe this recipe. I went over to their house last week. My mom had all of the ingredients on the counter. She asked me to help her make this dessert. She was called in. She was called in by my dad to assist him, so I proceeded to make the dessert. I ended up making the whole thing. They both enjoyed it. Thank you for sharing this lovely pumpkin cheesecake. Have a joyful Thanksgiving.